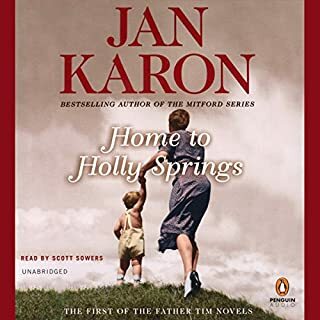 I love all the Mitford books, have listened to all of them several times, and the only reason why I didn't give this a full 5 stars was because of the narrator. 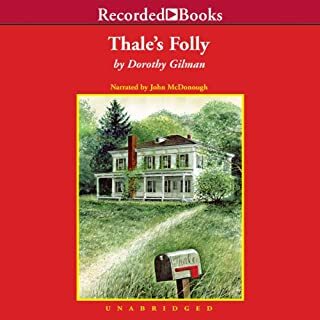 I love John McDonough's narration and his realization of the characters, and really felt the lack in this narration by Dana Ivey. I wish I had realized this version was not narrated by John McDonough before I bought it. What a disappointment- wish I'd given this a pass! I'm afraid the new narrator, Dana Ivey, for this book in the series just wasn't up to the task. John McDonough has narrated all the Mitford books until now and has done a masterful job. In my mind he is Father Tim and all the characters in Mitford sparkle in his voice. In this book the story felt disjointed, the characters not themselves and the reading was flat, lifeless and horribly one dimensional. I think the timing was just off-- lacking pauses and inflection and phrasing usually provided by the narrator. Also be aware the book feels like it was written as an afterthought. It is listed as coming after A New Song (1999) but that isn't where the story fits. I think it should be before Out to Canaan (1997). I don't want to be a plot spoiler--so I won't elaborate--but be aware that if you want the story in order the list is wrong. 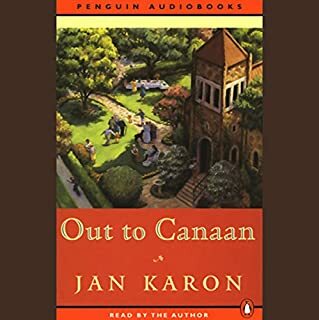 But--to me--it's more than just being out of order, more than a really poor narration, the whole thing just isn't up to Karon's lovely collection of books. What would have made A Common Life better? This book should have come earlier in the series and the narrator of this book sucked. Her voice was annoying and didn't fit the characters at all. Not like the earlier books at all. Has A Common Life turned you off from other books in this genre? Would you be willing to try another one of Dana Ivey’s performances? They need to stay with the same person narrating the series. The first 5 books in the series were a true delight; this one, not so much. Would never have listened to any of the other books in the series had this been the first one I listened to. Very disappointing! I have loved the Mitford Series until this book. Beside the fact that it is out of place in terms of sequence, it was a big mistake to have someone other than John McDonough narrate. I have no doubt that I would enjoy Dana Ivey's reading of other books but did not appreciate her being thrown into the middle of this series. I think Dana Ivey wasn't as easily believable as other narrators. Very disappointing. Will not buy audios narrated by Ms Ivey. I enjoyed that the story in places reflected back on the stories of some of the characters not described in great detail in earlier books. I enjoyed this narrator. I listened to the entire book while gardening in the early North Carolina spring. I listened to the entire book while gardening in the early North Carolina spring. Being a transplant to Western NC and listening to this story on one of the most beautiful days, lifted my heart and reinforced my decision to move here. This series is everything good about North Carolina, and this story in particular was a great reminder of how wonderful my own marriage and family are to me. You can't help but reflect, with gladness, on the blessings in your own life, after listening to this book. I stopped during several parts of this book to take in the beauty around me as the book was describing the beauty and serenity of its own story. 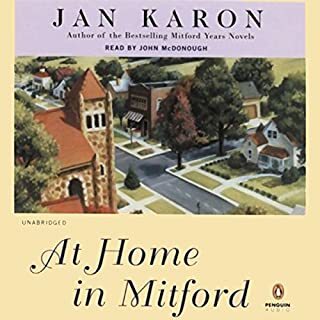 I've become a fan of Jan Karon and the Mitford series books. On the narrator, although the change from male to female voice was difficult at first, I slowing forgot the change, and I was very happy to hear such beautiful singing! Love the Mitford audio books? Avoid this one. Most reviews here dislike the reader choice. After listening to all the other Mitford audiobooks over and over again; this one is irritating to the point of not finishing it. 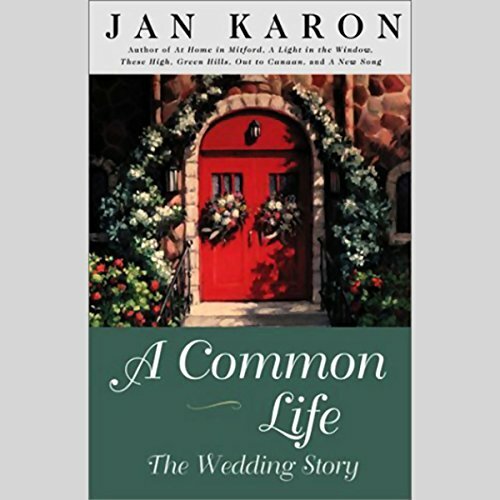 What other book might you compare A Common Life to and why? The story is great. On a par with the rest of the series. The reader choice was more than unfortunate. Partially because John McDonough is an excellent voice talent and because listeners associate his voices and mannerisms with the characters. None. Because the reader was so frustrating that I was unable to enjoy the story which is excellent. I have started it three times and never made it halfway through. 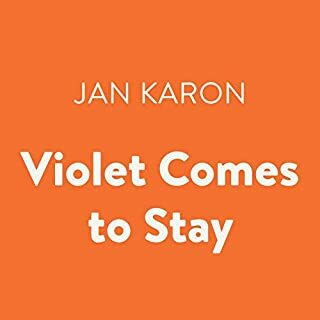 As with all of the books I have read from Jan Karon, this one is a delight to the soul. The most difficult thing for me was a new reader. It took me until about half way through to enjoy the book. I am not certian the reader was the best choice, but the content is choice!